Pakistani Journalist Najam Sethi is named as caretaker Chairman of Pakistan Cricket Team by Prime Minister of Pakistan Mian Muhammmad Nawaz Sharif. Najam Sethi don't have much knowledge about Cricket as he is a Journalist by profession. Former Pakistani Cricketers and experts have criticized this decision by Pakistani Prime Minister Nawaz Sharif. according to them PCB Chairman should be a person who knows Cricket very well. a former Cricketer can be a really good choice for this Important post at a time when World cup is not far away and Pakistan Cricket is facing tough situation. Najam Sethi has said that he will make PCB clean from Corruption and also decisions will be made on merit only. 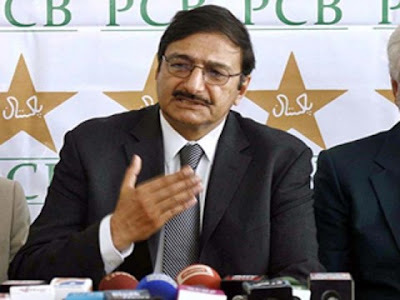 Former PCB Chairman Zaka Ashraf was removed as PCB Chairman by Islamabad High court because he got himself reelected by a unlawful method. Zaka Ashraf was a close friend of President Asif Ali Zardari. This is why he was made Chairman of Pakistan Cricket Board. Newly elected Chairman Najam Sethi has reached England for ICC's annual general meeting in London. He will stay as PCB Chief until a permanent PCB chief comes. 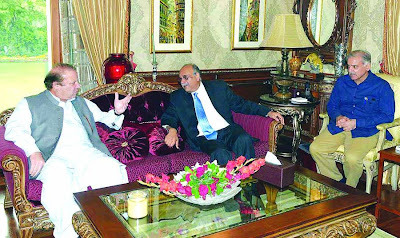 According to experts there can be political reasons for giving this post of Najam Sethi. Before this he was made caretaker Chief Minister of Pakistan's largest province Punjab. It was better if this post was given to a former cricketer like Moin Khan, Aamir Sohail, Salahuddin Sallu. because these people understands the Pakistani Cricket very well. however Sethi is caretaker Chairman so lets hope that permanent Chairman will be having good knowledge of Cricket. Views of opposition leader Imran Khan should also be taken on this issue before selecting a new chairman because Imran Khan was perhaps the best Cricketer Pakistan ever had. I think its right time to decide about all the important posts in Pakistan Cricket like PCB Chief, Selector, Captain because World Cup 2015 is 16 months away only. Preparations for it should start now.